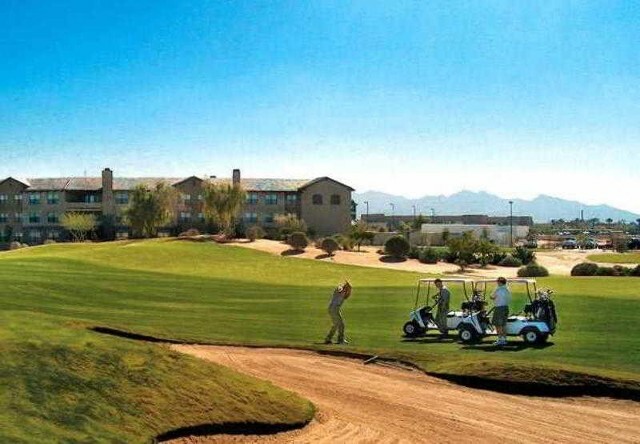 Free Suite Upgrade with this Arizona Golf School Package. One is a Hale Irwin mid-length course with a Par of 62 and the other an Arthur Hills championship course with a par of 72. Golf school students will also find a state of the art, lighted driving range facility, with a Pitch 'n Putt for short game practice and improvement. 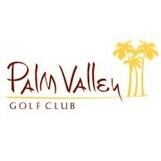 The Residence Inn by Marriott in Goodyear sits on the Palm Valley Golf Course in the heart of Phoenix's West Valley. Many suites offer golf course views, fireplaces and jetted bathtubs.Cool off in the swimming pool or relax in the warm therapeutic spa. Keep up your daily workout routine using the cardio equipment in our fitness center. Complimentary hot breakfast buffet is served daily. Convenient to shopping, dining, outdoor activities & movie theaters. Nearby spring training facilities include Goodyear Ballpark, Camelback Ranch, Surprise Sports Complex. Nearby attractions venues, Jobing.com Arena, Univ of Phoenix Stadium, Phoenix Int'l Raceway, and Ak Chin Pavilion. 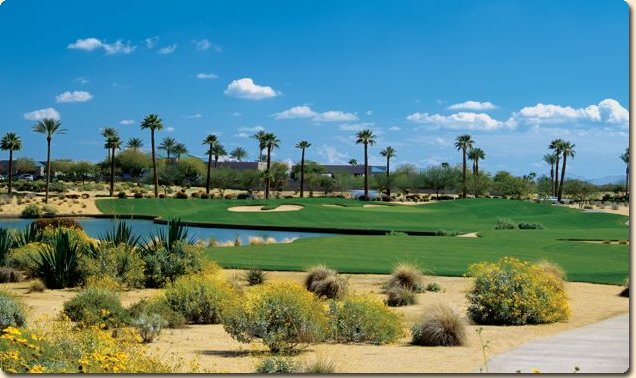 Goodyear is located only 20 minutes from downtown Phoenix & 25 minutes from Phoenix Sky Harbor Airport.